hi!! I know, 2 posts in one day?! eeeek! I know I don't usually do this but everyone seems to be releasing polishes around the same few days this week so this weeks blog posting will be packed pretty tight! Hope you don't mind! 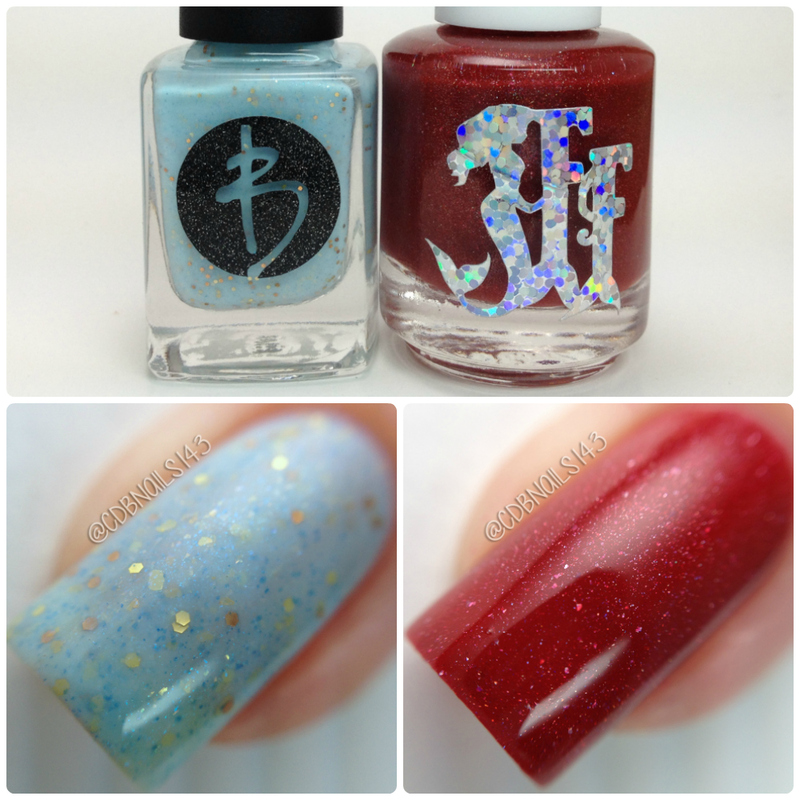 Anyways, Today I have a beautiful duo to share with you that is a collaboration with Bliss Polish and Fairy Tale Finish. This duo is inspired by the famous show Game of Thrones, and 2 of the most prominent females from it. Read on for more info! 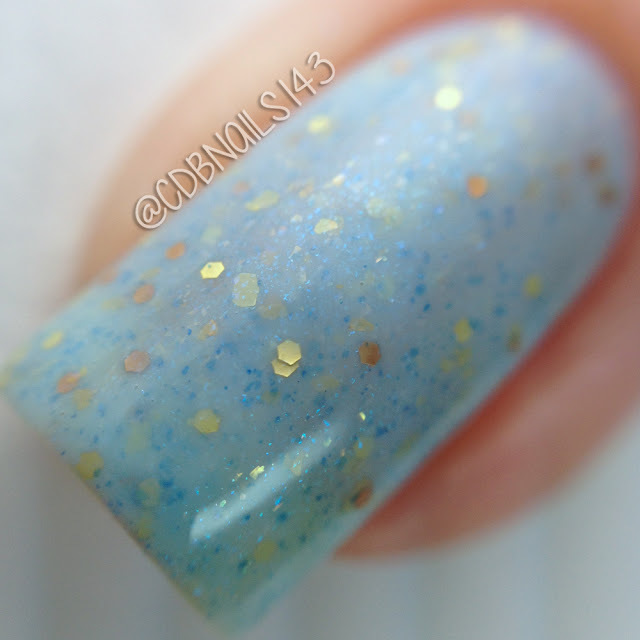 Khaleesi is a pale blue crelly with gold glitters as well as blue micro glitters. I applied two coats to achieve full opacity and sealed it with a glossy top coat. Formula was great and applied well. No fishing needed for the glitters. 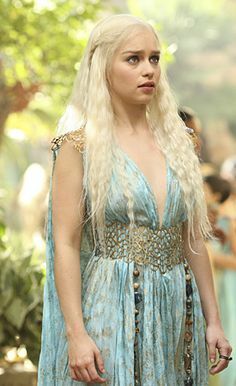 Khaleesi is a Dothraki title referring to the wife of the khal. In this case the Khaleesi is the beautiful Daenerys Targaryen, Queen of Dragons. 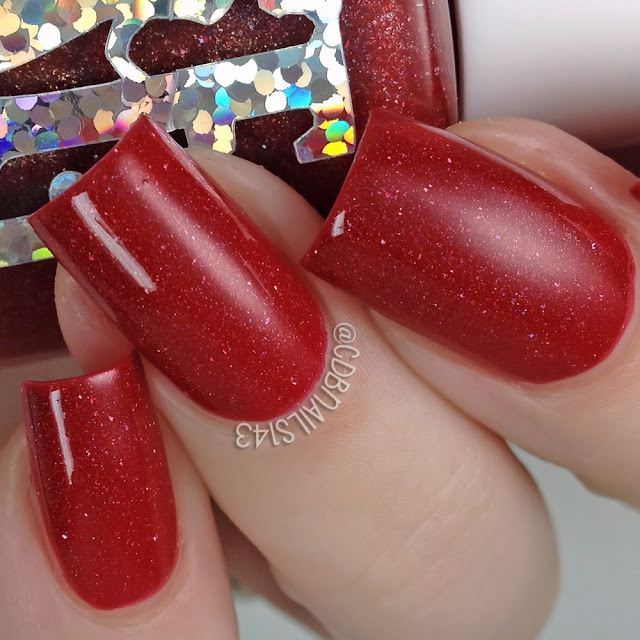 The Red Woman is a red holographic polish. I applied two coats to achieve full opacity and sealed it with a glossy top coat. Formula was great and applied smoothly. The Red Woman is another name for the character Melisandre. She is a Red Priestess in the religion of R'hllor, the Lord of Light. Overall, Both polishes are lovely and I think they represent each character very well. Formulas are good and applied beautifully! I love me some Game of Thrones so I was thrilled to have received this duo to review and if your also a GOT fan I highly recommend grabbing these beauties! in the Bliss Polish shop and will end on Sunday 9/4 12pm PST. Please check out the link below for more info! That Fairy Tale polish is especially pretty! I'm so sad she's closing. Both of these are absolutely amazing! I've never tried any polishes from either brand and I haven't watched GOT either lol. At this moment it's so cold here in South Africa, that i would pick to wear The Red Woman" nail polish just to give me the comfort of some warmth. The "Bliss Polish- Khaleesi" shade would be such a lovely Summer polish.